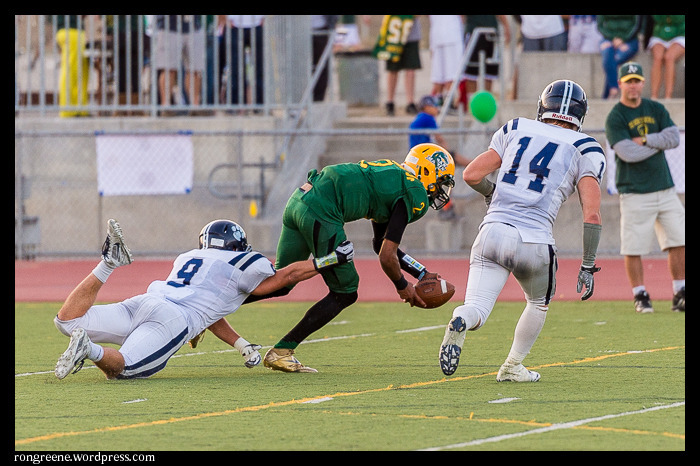 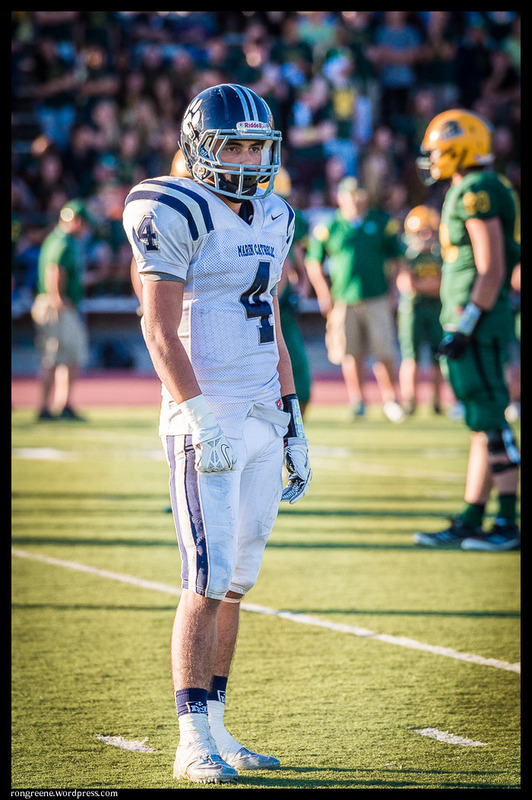 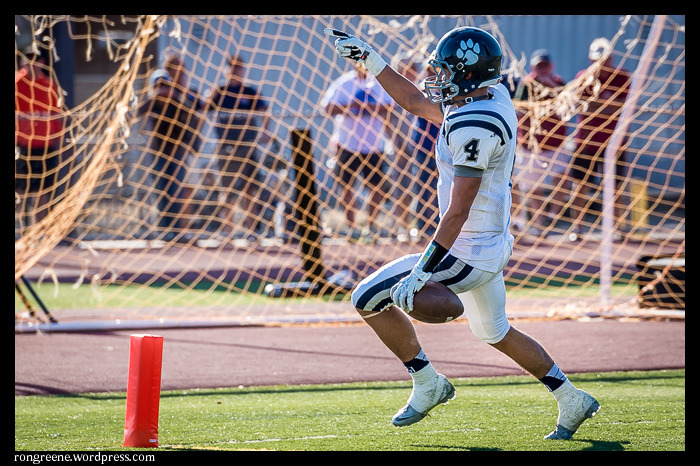 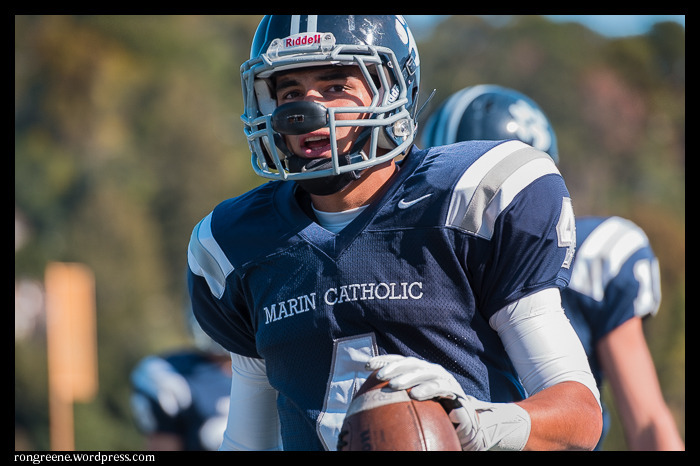 Marin Catholic football just keeps winning. 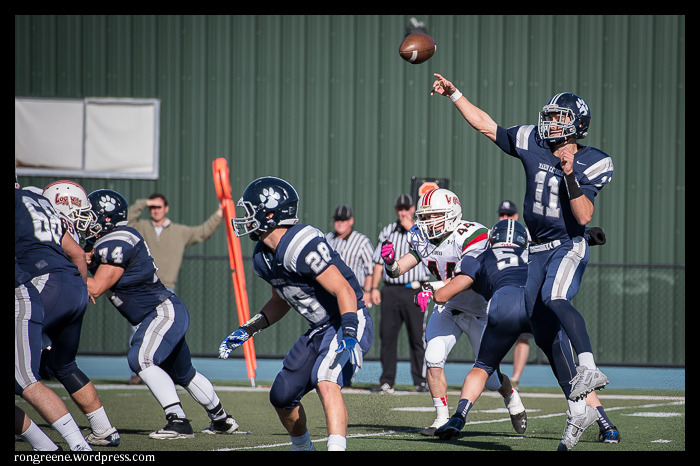 Saturday’s win over Eureka means 11 straight victory’s and a perfect record so far this season. 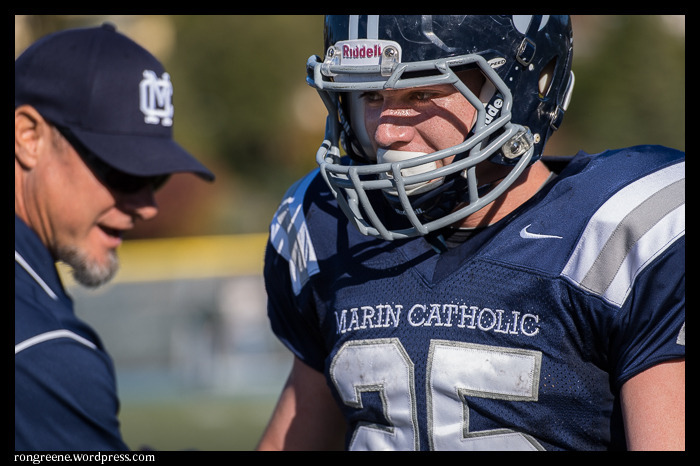 Marin Catholic will play Sebastopol’s Analy High School on Saturday in the North Coast Section Division III semifinals. 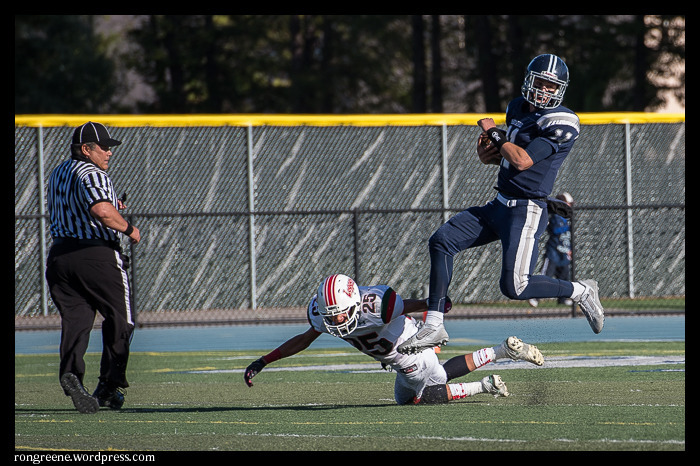 Thousands of photos of various sports are at VarsityPix.com. 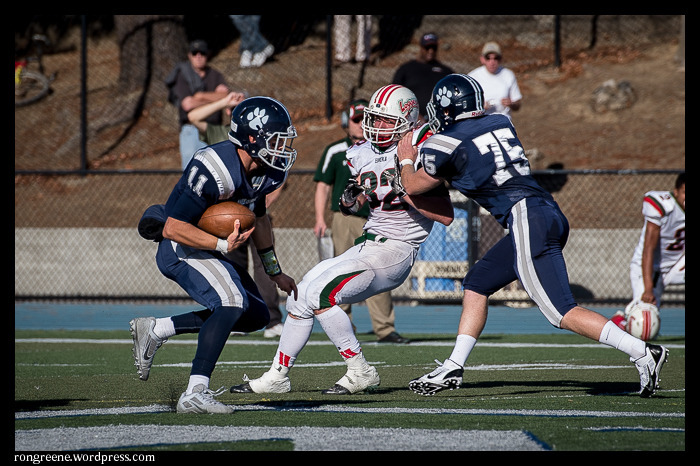 A sports scrapbook makes a great Christmas gift. 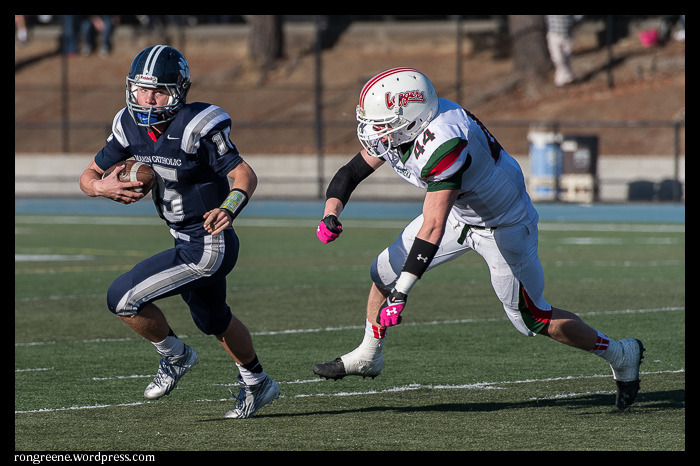 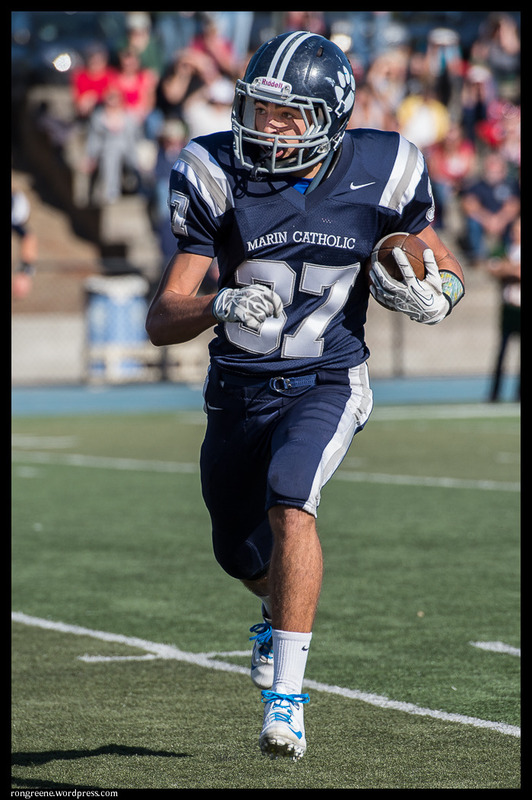 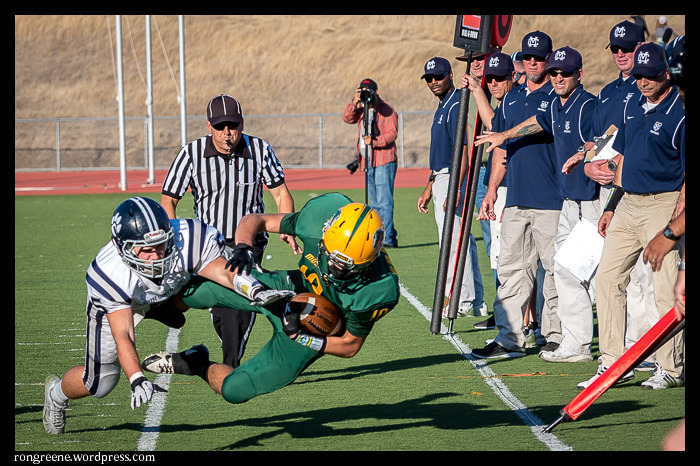 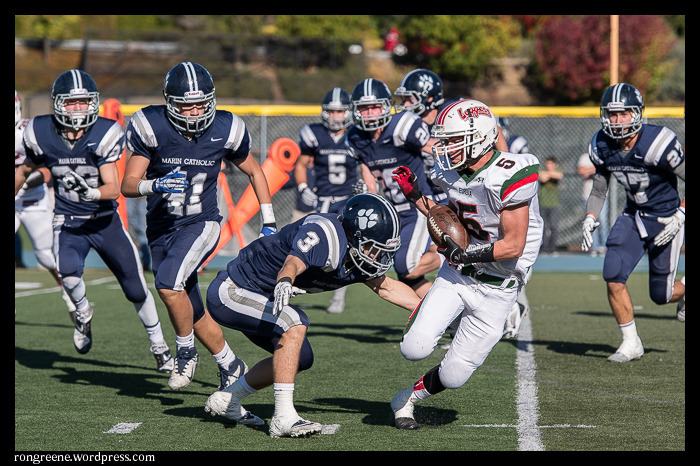 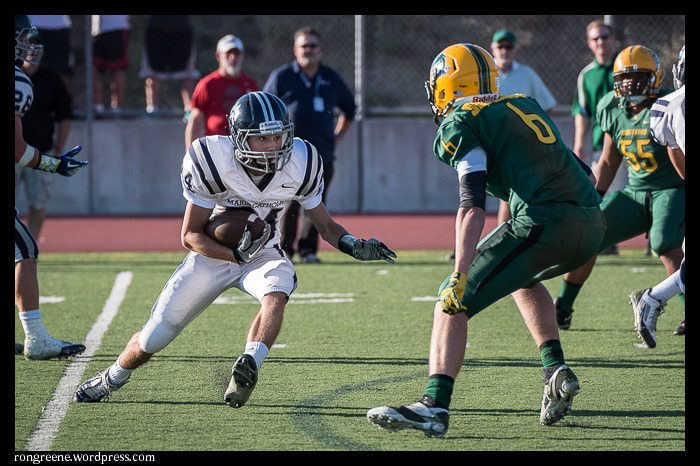 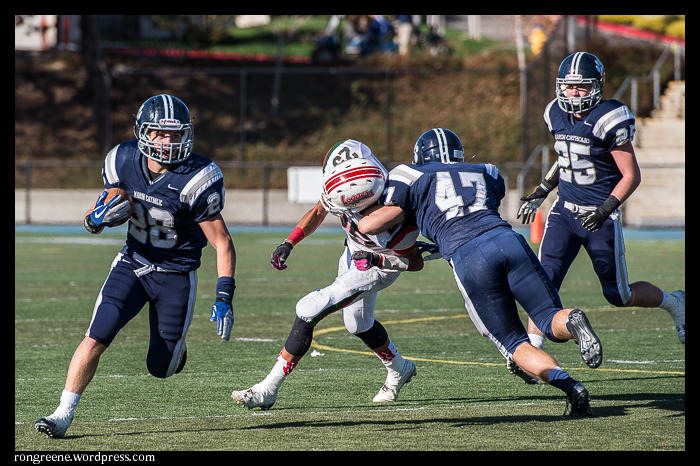 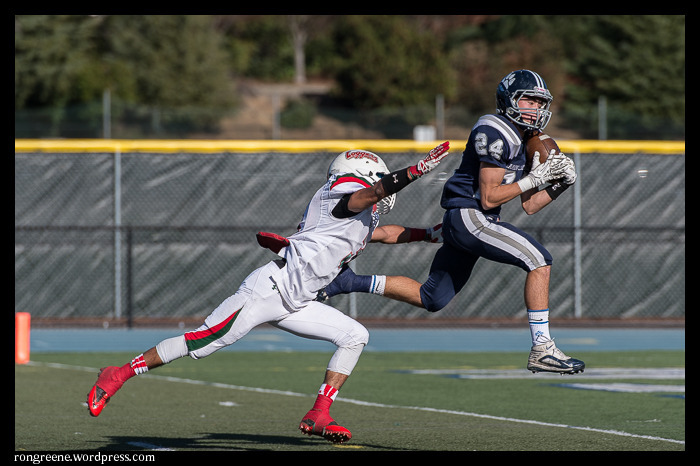 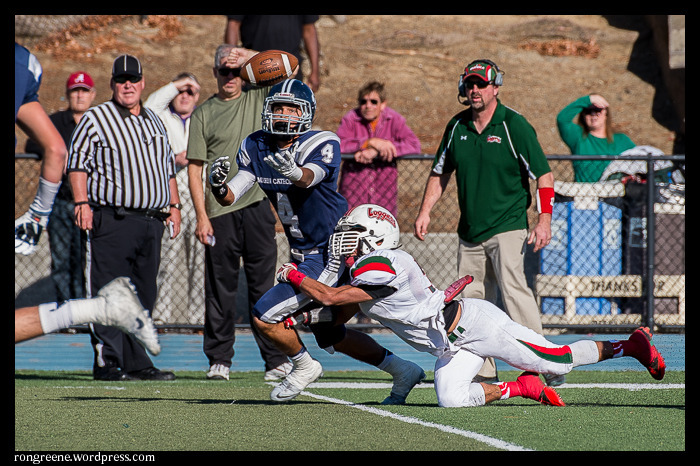 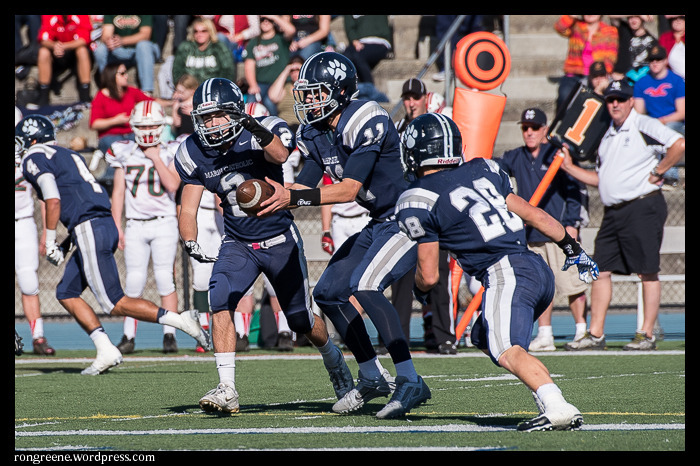 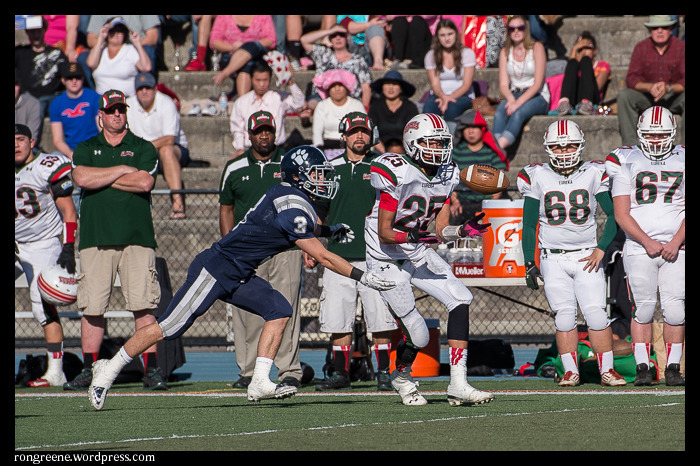 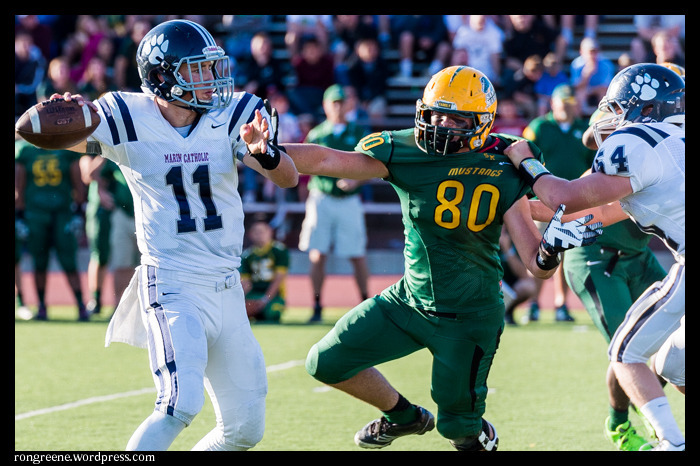 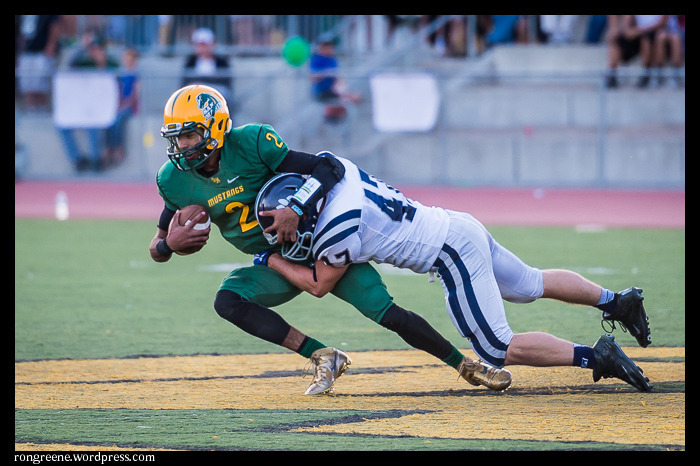 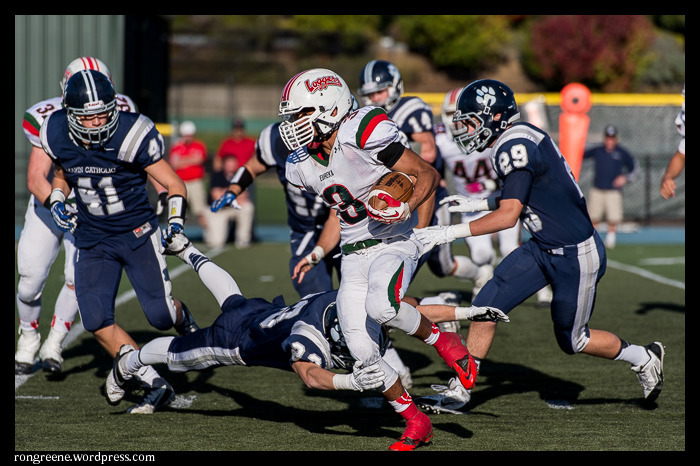 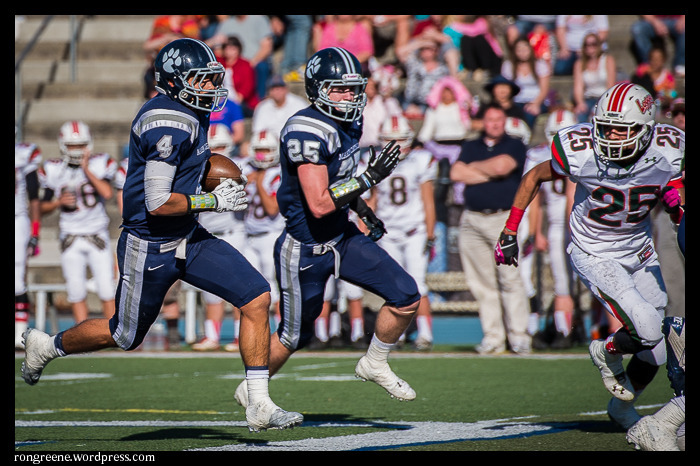 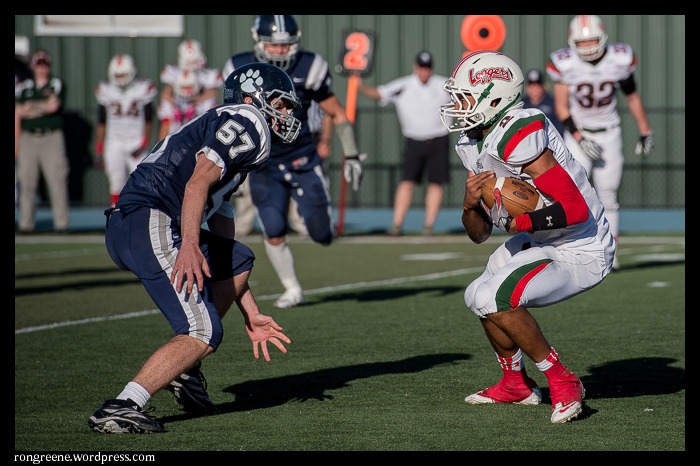 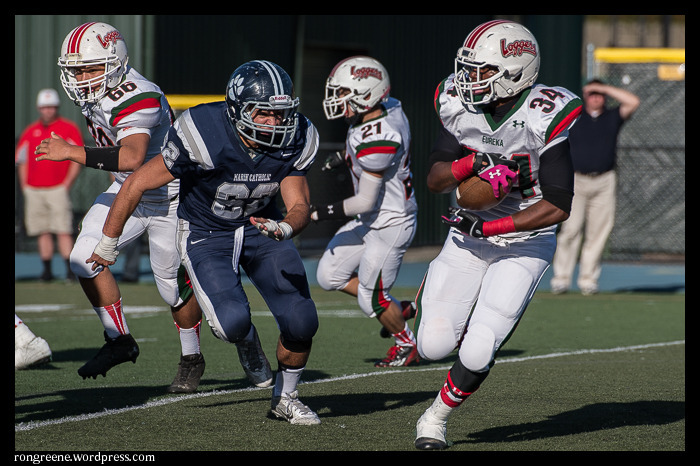 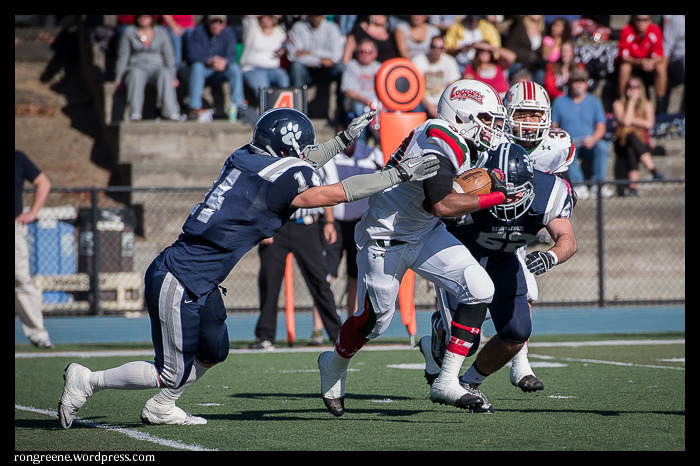 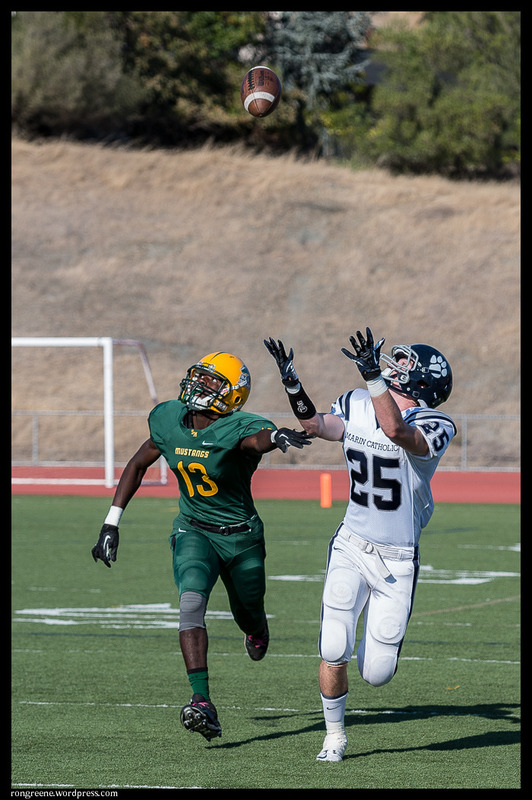 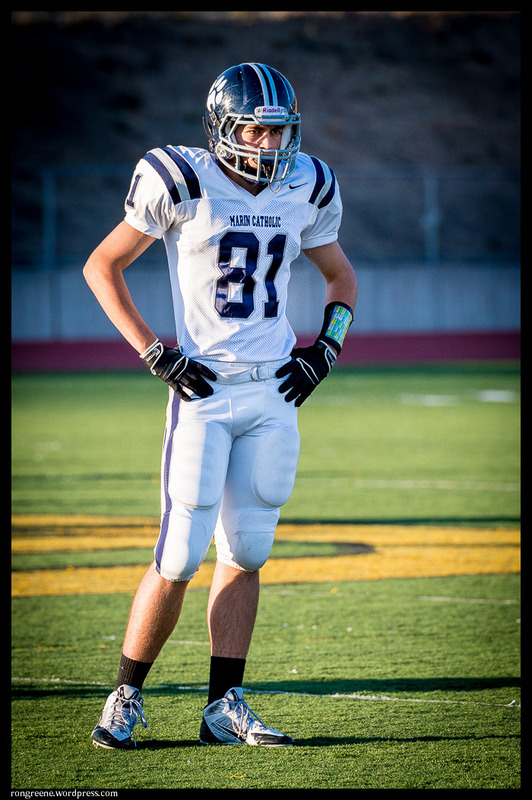 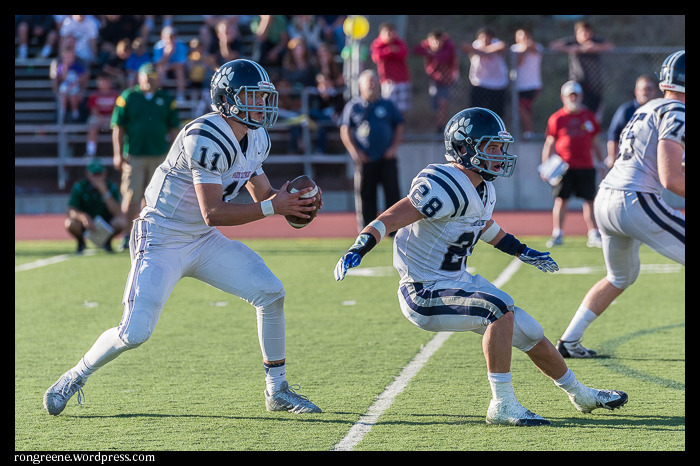 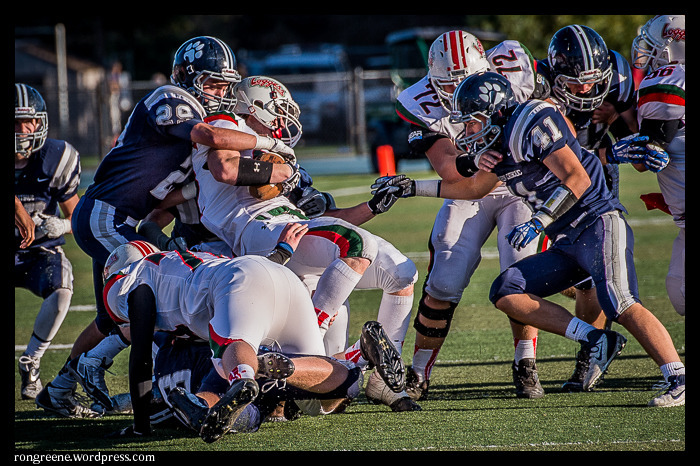 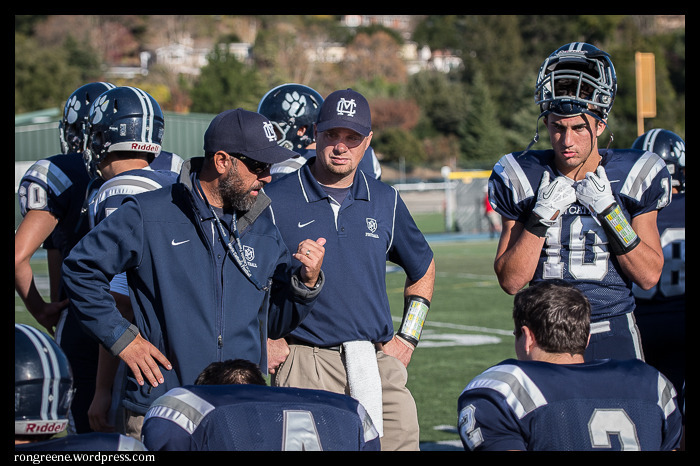 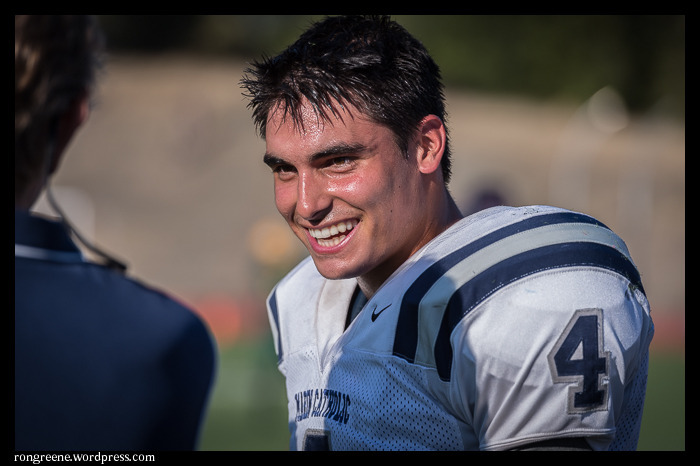 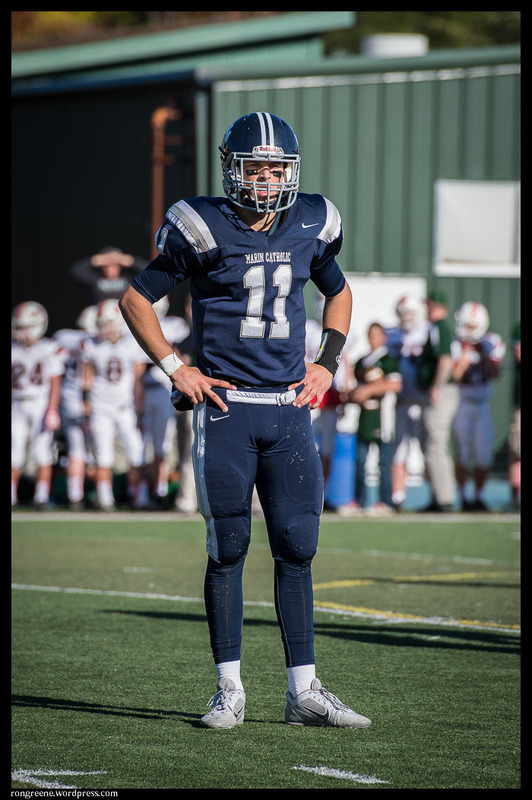 Marin Catholic football ended the regular season Saturday with a 49-14 victory over San Marin. 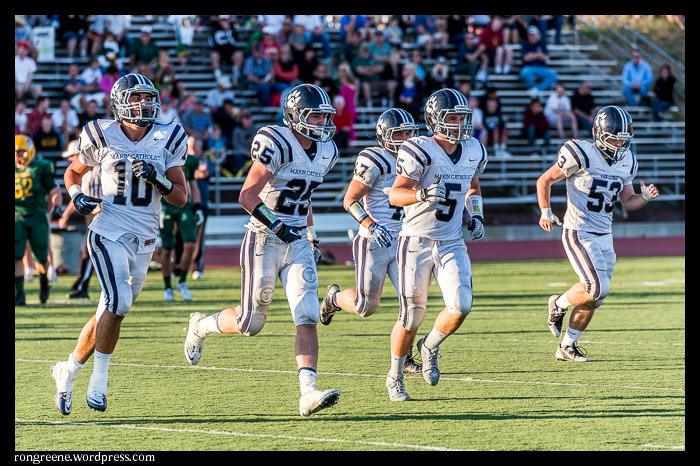 According to our local paper, this gives MC its fifth straight undefeated league crown and its 35th straight league win. 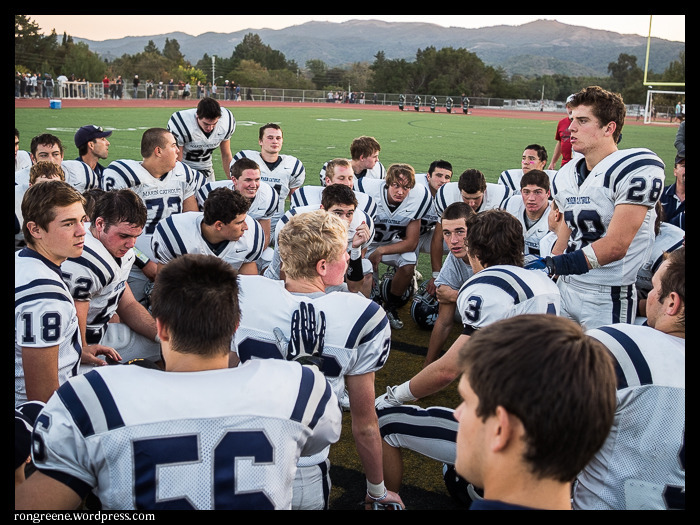 An undefeated season earns the Wildcats a top overall seed and a bye week in the North Coast Section playoffs. 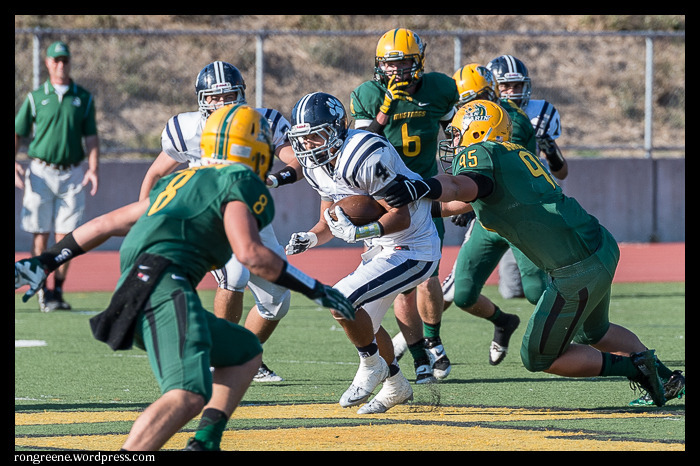 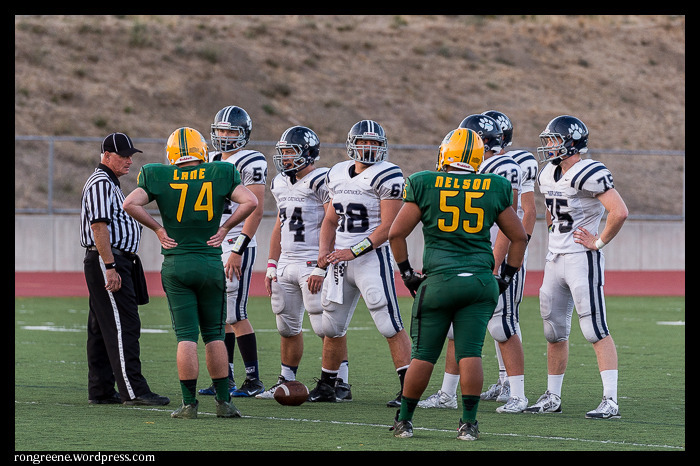 They’ll play the winner of next Saturday’s Hercules and Eureka game in two weeks. 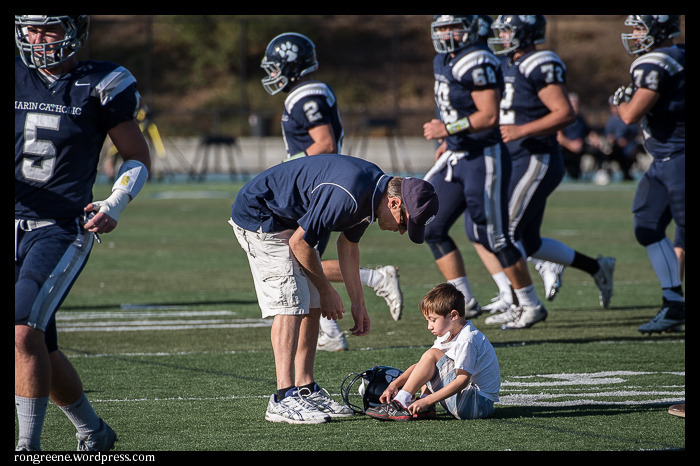 It’s been an exciting season, and I’m glad that Bill Schneider of VarsityPix.com has given me the chance help him document the games.